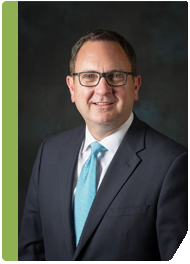 Brett Kirkman serves as Senior Vice President of Poplar Healthcare where he currently leads the Company’s managed care strategy and assists the Company in evaluating and vetting new business models and expansion opportunities. Kirkman has a multi-faceted healthcare background with previous experience in managed care, health systems operations and physician practice leadership. Under his leadership and strategic direction as CEO, Gastro Arkansas experienced unprecedented growth in revenue, performance improvement, ambulatory surgery centers volume and profitability increase, site expansion, physician/clinic/surgery center acquisition, expansion of research department, pathology laboratory and added anesthesia service line as well as a supergroup merger vision and expansion. Previously, Kirkman served as Vice President of the Clinically Integrated Network for Cox Health System a two-billion dollar integrated delivery system and established and led the Arkansas offices for both Mercy Health Plans and WellPoint/Anthem. Kirkman serves on the health insurance exchange Board of Directors for the Arkansas Health Insurance Marketplace where he was appointed by President Pro Tempore Senator Jonathan Dismang. Kirkman serves as a National Speaker for Abbvie a global pharmaceutical company where he presents on physician business strategy. Kirkman is a graduate of Harding University where he serves on the President’s Council.